When an individual is crossing a street in New Jersey, they generally assume that any oncoming traffic will stop for them. However, pedestrian accidents still happen, due to negligence by either the pedestrian themselves or the driver that hit them. Pedestrian accidents are often very serious and result in significant injuries. When a pedestrian is injured in an accident, it is important that they comply with the followings steps. If possible, contact the local police department and wait for emergency services to arrive. Request medical attention if necessary. Both parties involved must be sure to wait at the scene of the accident for law enforcement to get there. 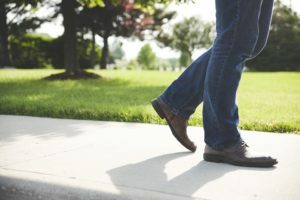 If a driver hits a pedestrian and leaves the scene, they can be charged with a hit and run, which can result in significant additional legal trouble. Both parties need to make sure they exchange contact information, names, and insurance information. If there are any witnesses to the accident, it is important that they either give a witness statement to the police or give the injured party contact information. Pedestrian accidents are very serious. If you have been the victim of a pedestrian accident due to the negligence of a driver, contact us today.